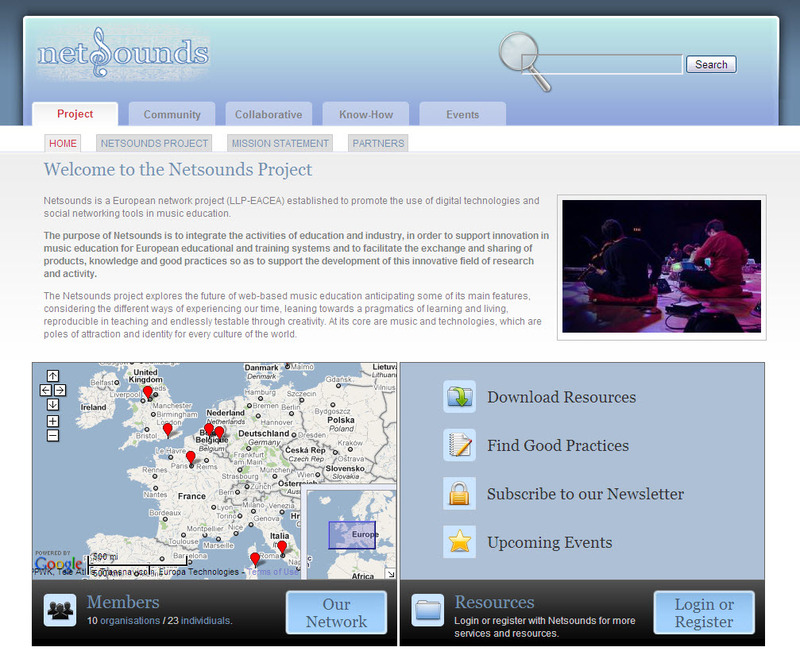 The Netsounds Project was a very successful European Comission funded network - part of the Leonardo da Vinci project. Netsounds facilitated the development of a network of organisations and individuals concerned with music education across Europe. The project promoted the use of information technology in music education and encourage innovation in the field by connecting stakeholders and supplying resources through the project web portal, which is no longer running. Built in Drupal 6 by Brightonart the project website employed a wide range of contributed modules and some custom glue to implement the advanced community features demanded by this high profile project.